"Be the Change" is the theme of our OSCAS calendar for the year of 2019. 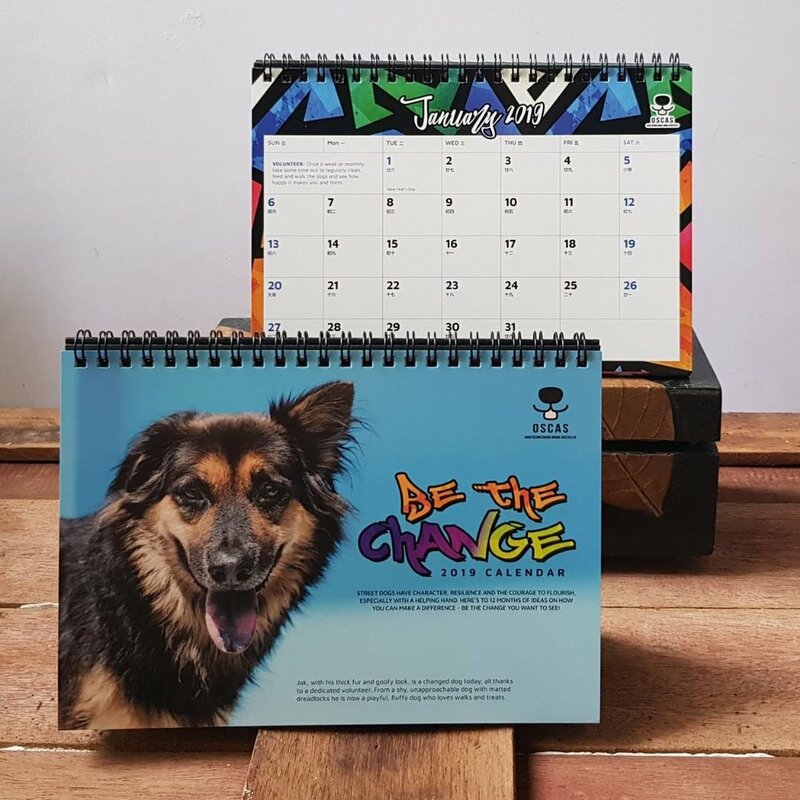 This calendar hopes to highlight ways people can help our dogs. Using a vibrant street-vibe graffiti look, it reflects the colourful and resilient characters of our dogs rescued from the streets. Start the new year with a change! *The tracking number of your package will be emailed to you once the order has been mailed out. Tracking can be done via www.singpost.com. Simply FILL IN THE FORM below, and make payment to OSCAS via PayPal or Bank Transfer! 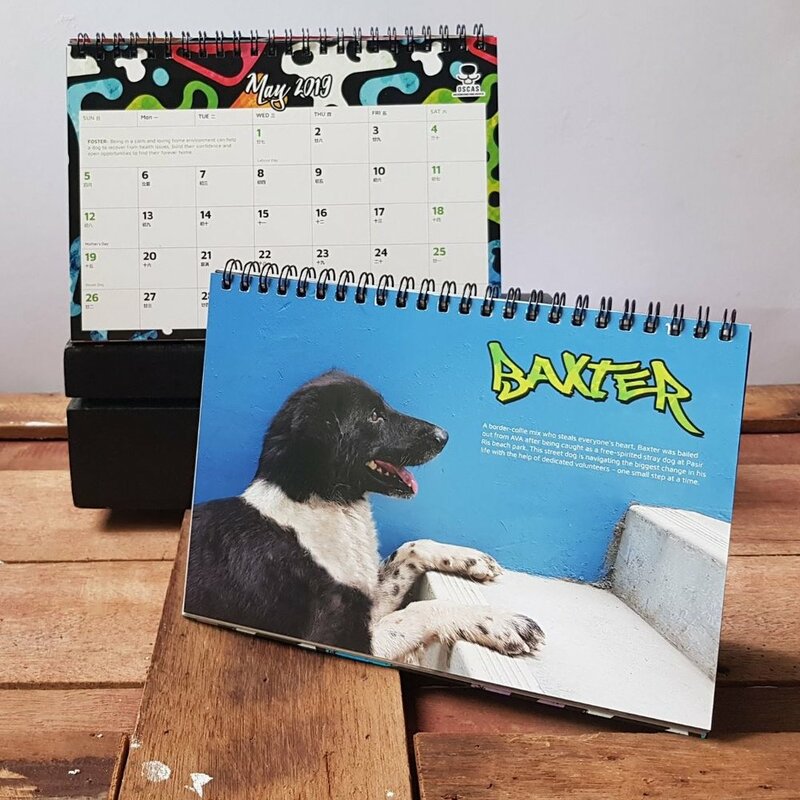 Once payment is received, we will mail the calendars out via SingPost or arrange for delivery by one of our volunteers if your order is above 10 pieces. We will arrange for delivery once we have received your payment!